Packing supplies and services available through Plymouth Rock Moving & Storage are designed to help streamline your move while providing you with the things you need to protect your important belongings. Whether you are making a local move or relocating halfway around the globe, it is important to properly pack and secure your furniture, personal items, clothing and other things to avoid shifting, breakage and damage. Our many years of experience providing services for local and long distance moves via our moving and mobile storage company in Southeastern Massachusetts and Cape Cod, have given us a lot of knowledge that we can share with our clients. Choose from either a full service packing option, which includes having our team members come to your home to pack your things for you before they are moved to the new location, or a do-it-yourself packing option that requires quality packing supplies and services. We have compiled a list of packing tips that can be used to help make the packing and moving process much easier. Check with your Massachusetts residential movers coordinator to find out about any of our full service options to help simplify your move. Plymouth Rock Moving & Storage is a Southeastern Massachusetts and Cape Cod moving and mobile storage company that provides a wide variety of services for residential and commercial clients who want to make local and long distance moves. 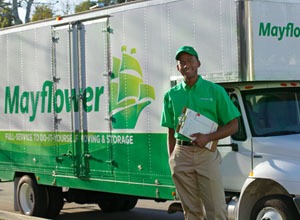 Give us a call at 1-800-340-0995 for a FREE estimate on all of our moving, packing supplies and services.